We made some tests with TableView and missed productivity features like Load-on-demand and database support. So we tried to use our DataBooks with a TableView. 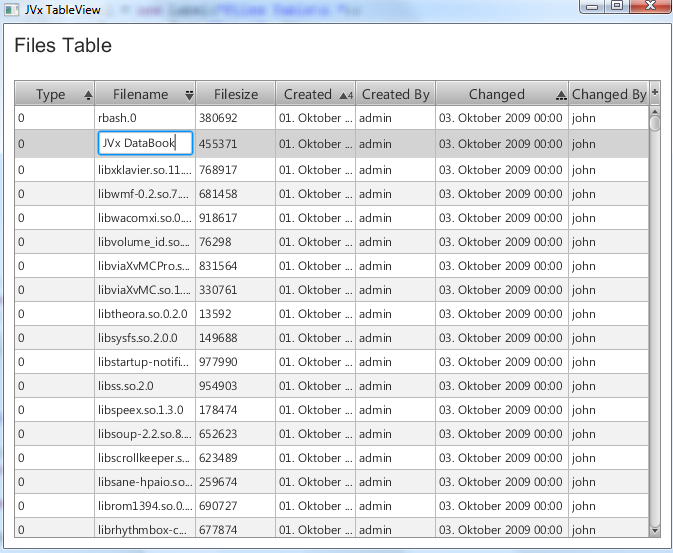 We need a TableView that is re-usable and shows data from remote storages like databases or csv files. 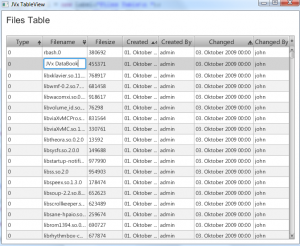 It should support multi-column sorting and of course, load records on demand. A nice feature would be support for edit data without boilerplate code. The implementation is not finished and is more a PoC, but it works great! The source code is available here. It is also possible to edit data, but the different datatypes are not yet supported! Simply use the table view to show dynamic content. Allow editing without additional source code. Don't re-invent the wheel again! The source code of the test application is available here.